Charlie opines about wines he has tasted and his quest to find the right wines to share with guests at the 1750 Inn at Sandwich Center. In my search for interesting wines to serve to guests at our Cape Cod Bed and Breakfast, I attend many planned and impromptu wine tastings. I am happy to share my experiences with you. It's a tough job but someone has to do it. Yes, the busy season is right around the corner for us as Cape Cod Innkeepers and I am looking for wines to offer our guest. I have attended a few of the industry tastings and a few of the formal tastings at the Belfry Bistro. But a recent ‘impromptu’ tasting with my friends at Cellar 55 Wine Merchants introduced me to exceptional wines. As you may know, the same wines are not available everywhere. Limited distribution may be a factor if only a small number of cases were originally produced or selected placement could be the winery’s marketing strategy. You may find a wine you love in a restaurant that is not sold to retail stores, or select wines may only be available for purchase at the winery or to their wine club members. I belong to a couple wine clubs whose wines are not distributed to any east coast wholesalers or retailers. As to the recent impromptu tasting, Cellar 55’s David just recently returned to Cape Cod from their seasonal yacht purveyor business on St. John in the U.S. Virgin Islands. When he called to invite me to share some special bottles that he brought back, I was there before he got the corks out of the bottles. We started with a 2009 Sea Smoke Southing Pinot Noir. I had only heard the name Sea Smoke from David when he would call over the winter to tell me about the great wines he had access to in the Islands. I loved this wine and with a little research learned it is a ‘world-class’ Pinot from Santa Barbara’s Santa Rita Hills AVA. This is the kind of wine that Miles, the lead character in that great movie Sideways, would have held up as proof of his belief that Santa Barbara is the perfect place to make perfect Pinot Noir. Then David tells me that as good as this wine is, the Sea Smoke ‘Ten’ offering is twice as good. Unfortunately for me, none of the Ten made it on the plane. Next we went to a 2009 Turley Cedarman Vineyards Howell Mountain Napa Valley Zinfandel. Unlike the Sea Smoke, I am familiar with Turley wines and have enjoyed their Zinfandel in the past. Actually, Jan and I visited the Turley Wine Cellars in Templeton, CA. (near Paso Robles) on our great 2006 wine adventure. At the time, I was doing a consulting project that required telephone conference calls at noon Eastern Standard Time. We were traveling in the RV and I planned my day around the 9:00 AM Pacific Time conference call and visiting Turley winery. We arrived in our fairly large RV at the tasting room’s small parking lot at about 8:30 a.m. and watched the employees coming to work as I conducted my call. After a few hours, I was afraid I would be asked to leave as tourist filled the lot. Thankfully, no one chased me off and I went in and tasted some great Zinfandels from some very old (over 120 years) vines. Larry Turley is known for his big Zins, which he feels can only be made from these ancient vines. I did learn from this tasting that the first Turley Wine Cellars was, and still, is located in St. Helena, CA in the heart of Napa Valley, thus this Howell Mountain vineyard designation on the label. So, although I thought I was knowledgeable about Turley, unlike Sea Smoke, I again learned something new and enjoyed a great bottle of wine. What a life, a friend brings wines that we will never find in Massachusetts and shares them with me. 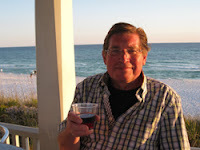 Come and stay with us at our Inn in Sandwich, MA, and I’ll be happy to share some of my interesting wine finds with you. Thanks for reading Cape Cod Wine Time. Wishing you great Wine-ing.